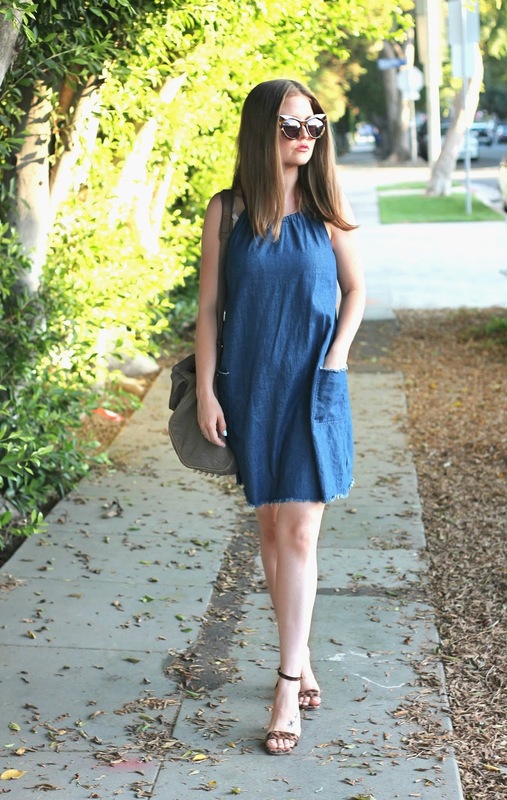 This denim dress is giving me all the feels. It is so comfortable and chic but also perfect for transitioning into fall. 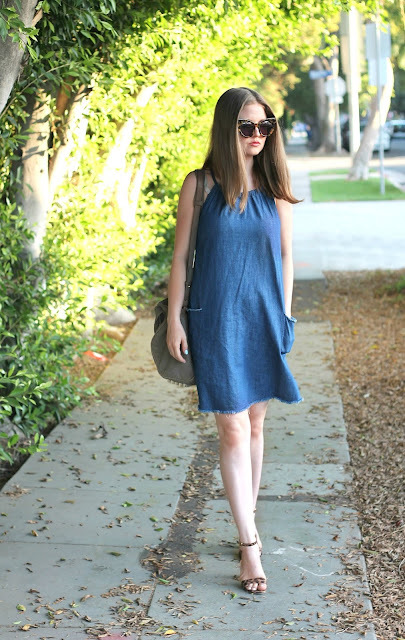 I can't wait to pair it with booties and a utility jacket once it cools down here in L.A. I also finally got my hands on my dream sunglasses, these Karen Walker Starburst sunnies! You may have seen me raving about them on Snapchat (you can follow me at SimplyClassyCas) the other day. I always go for cat eye sunglasses because they even out my round face. These ones are perfect. I got them from my DITTO subscription. DITTO is a glasses subscription service where you can rent and exchange out sunglasses for $24 a month or prescription glasses for $34 a month. Shipping is free both ways, which is awesome and you get to choose which sunglasses you want each month. My favorite part is that you can use your web cam to virtually try on each pair of glasses! How cool is that?! If you're interested in giving them a try, they were gracious enough to offer my readers a one month free subscription with code SIMPLYCLASSYCASSIE! Anyways, Lilly's up from her nap so it's time for me to go! Thanks so much for stopping by! I hope you have an amazing day or night wherever you are. Love this look. The leopard print with the denim dress is too cute! !